YouTube is an amazing platform to connect and engage with customers. When it comes to answering complicated questions or giving demonstrations, it’s much easier to talk through a solution than to write it in an email, a tweet, or Facebook comment. Video provides an exceptional level of engagement, is easy to consume, and is rapidly becoming a prominent form of communication and entertainment. Given that so many people are drawn to YouTube in particular, if you provide customer service on this platform, your customers won’t have to go out of their way to get answers to their questions. YouTube can also be leveraged by many different types of companies — from consumer brands to business-to-business, making it the next best thing to talking face-to-face. Here’s how four innovative brands are using the video platform to provide excellent customer service. 50 percent of Internet users using social media for customer service are seeking an actual response from the brands they’re engaging with, according to eMarketer. However, the responses to these questions often require complicated or technical explanations. Attempting to craft a response in under 140 characters on Twitter will most likely fall short of a sufficient answer. 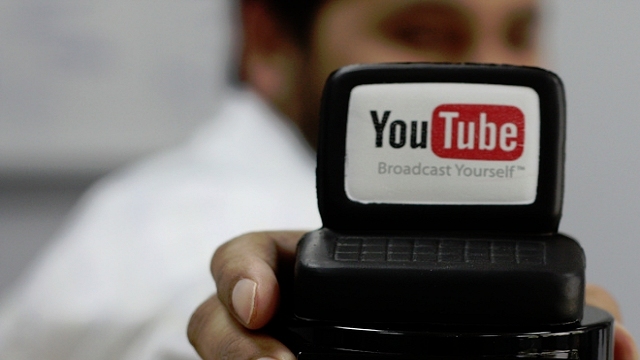 Some brands have already discovered that YouTube is the perfect medium for answering detailed questions. The online-based optical retailer, Warby Parker, has been turning heads with its customer service YouTube channel called Warby Parker Help. Employees use the channel to answer questions asked over social media platforms. Since Warby Parker only has a few physical showrooms throughout the US, and most orders are placed online, many questions are about frame aesthetics. YouTube is a very effective medium to help consumers visualize products, making it a valuable tool for clothing and accessory retailers. For example, the employee in the video above answered a question asked about the best frames for wide faces, suggesting six different frames and going into detail about each one. The networking equipment company, Cisco, has a very impressive YouTube presence, along with a few different video series. “Networking 101” is hosted by an energetic developer named Jimmy Ray Purser, who takes on more of a class clown persona than a tech geek, but it makes for an entertaining and fun experience. Each video is about ten minutes long and covers the basics of complicated technical concepts, from the fundamentals of fiber optics to Cisco’s latest operating system. The topics are broken down into simple and easily digestible terms. Using video to unpack complex topics is easier and more engaging for both parties. Many customers are more likely to watch a video to completion than they are to sit down and read an entire white paper about your product. YouTube is an outstanding platform for instructing step-by-step processes, and works remarkably well for Nest, an ultra modern, self-teaching thermostat. Setting up a new gadget can be daunting, and making it work the first time is often a tall order for many consumers. Nest leverages YouTube by producing easy to follow, eloquent demonstration videos that take new Nest owners through the entire setup and learning process. The videos are professional quality and are certainly worth the investment to ensure Nest’s customers have a positive experience when using its product for the first time. This approach works very well for electronics and gadgets; it saves time and money for both the brands and the customers by preventing incorrect installations. State Farm has a wide variety of content on its YouTube channel. Many of its videos provide tips on how to prevent filing an insurance claim — by showing you how to weatherproof your home, or hitch a boat to a car correctly, for example. Other videos guide you through the process of fling a claim after the damage is done. State Farm also partners with experts from various fields, like car mechanics and boating experts, creating useful content for potential and current customers. Successful content marketing, and video content in particular, finds consumers where they already are — without being intrusive. Also, with 90 percent of web traffic expected to be video by 2014, now is the time to start preparing your YouTube customer service strategy to leverage that massive potential audience. Know any other brands doing an awesome job using YouTube as a customer service channel? Let us know in the comments.